Great Plugin, thank you for the hard work. 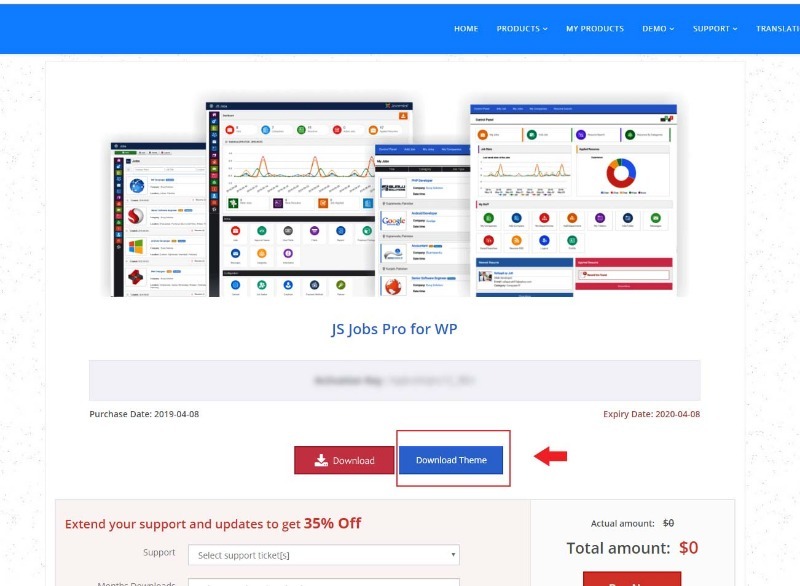 I installed JS Jobs Pro for WP with the theme support but i can't find it anywhere except the one with choosing the colors, But where is the actual theme? and when i click download theme from MY products i get a blank page.